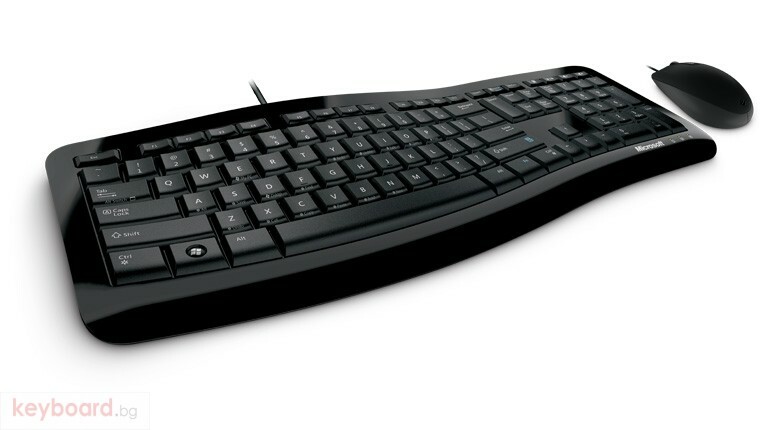 Keyboard Features: All the keys are the same size and in a familiar place, even with the Comfort Curve. Hot Keys: Calculator, Play/Pause, Volume +, and Volume -. 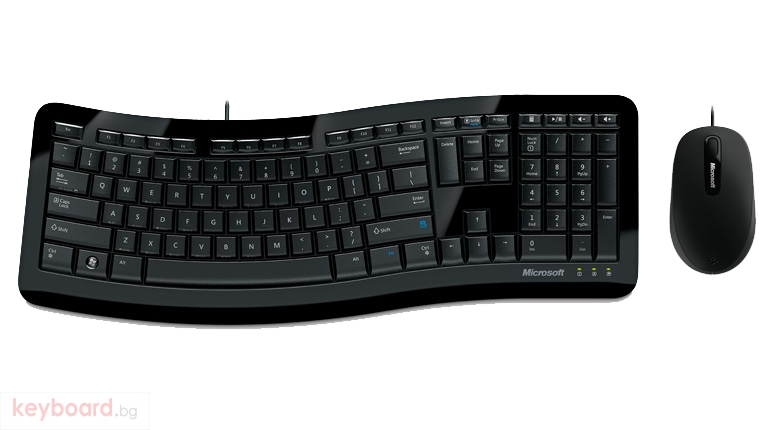 Ergonomist-Approved Comfort Curve Design. 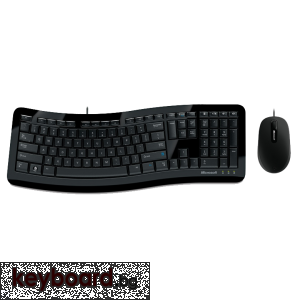 Mouse Features: BlueTrack Technology. Designed for trouble-free performance, eliminating the worry of battery life.Three customizable buttons.